There are several factors to consider when you're searching for an office for sale in Sheffield. You want to think carefully about the location of any office in Sheffield you consider buying. It's also worth weighing up the local transportation links with any office in Sheffield you're considering. When you start searching in Sheffield for an office for sale, you want to be aware of all the costs involved. It would help to be aware of the business rates payable on the property, and how the likely running costs will affect your budget. Having an idea of these factors will make it easier for you to arrive at the right choice when searching for an office for sale in Sheffield with MOVEHUT. You should remember that all commercial property in Sheffield carries a classification relating to its permitted usage. If you're hoping to buy an office in Sheffield, selecting a property with the correct class will save time for you. When you are sure of the classification code that suits your business, begin your search with MOVEHUT and let us match you up with the perfect office property for sale in Sheffield. 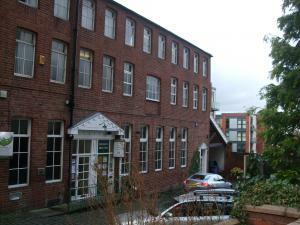 There is a comprehensive range of offices for sale in Sheffield to suit all business needs. You might be browsing for a smaller office that's suitable for a handful of staff in Sheffield. Or maybe you'd prefer something larger in a prime location, either way, MOVEHUT is here to help you find the ideal office for sale in Sheffield. When considering whether to buy an office in Sheffield, viewing before taking any further steps in the sale process is essential. Making sure the appropriate facilities, such as water, electricity and internet, are available and functional could save you a lot of trouble down the line with your office. Ensuring the office has all necessary paperwork and official checks are in order, such as the EPC certificate for example, is also advisable. So once you've found an office to buy in Sheffield with MOVEHUT, arrange a viewing and bear these tips in mind. What is the best location for your office in Sheffield? 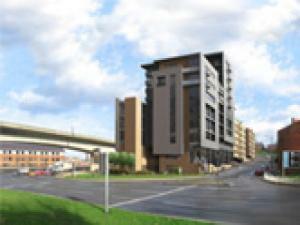 The most vital factor to consider when searching for an office in Sheffield is the location. 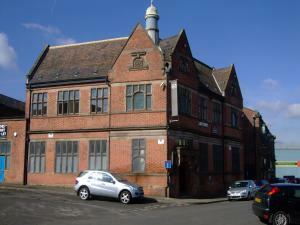 You will want an office location that allows you the necessary business routes that you might require in Sheffield. Why not start your property search in Sheffield right away, and let MOVEHUT find you a superb office. Setting a budget should be your first consideration when searching for an office for sale in Sheffield, as there is such a wide range to choose from. The for sale listings at MOVEHUT feature a range of office properties to buy at prices to suit all budgets. Start searching now for your office for sale, and let MOVEHUT take the effort out of finding a commercial property in Sheffield. Of course, if you see a fantastic office in Sheffield, then you're probably going to want to put an offer in straight away, but read our tips first before placing the offer. If you put an offer in, just be prepared for the additional fees that may be required, like professional services including advisers and surveyors. At MOVEHUT it's our aim to help you find the perfect office property for sale and we love it when we see negotiations concluded satisfactorily.